Chapter 74 - Mines and Quarries. Article 1 - Operation of Mines and Quarries. §§ 74-1 through 74-14. Repealed by Session Laws 1975, c. 206, s. 21. Article 2 - Inspection of Mines and Quarries. §§ 74-15 through 74-24. Repealed by Session Laws 1975, c. 206, s. 21. Article 2A - Mine Safety and Health Act. § 74-24.1. Short title and legislative purpose. § 74-24.4. Safety and health standards. § 74-24.5. Modification of safety and health standards. § 74-24.7. Inspections and investigations. § 74-24.8. Findings, notices, and orders. § 74-24.9. Issuance and delivery of notices, orders, and decisions. § 74-24.10. Administrative and judicial review of decisions on mine safety. § 74-24.11. Repealed by Session Laws 1987, c. 827, s. 260. § 74-24.15. Rights and duties of miners. § 74-24.16. Education, training, technical assistance, and research. § 74-24.20. Construction of Article and severability. Article 3 - Waterways Obtained. § 74-25. Water and drainage rights obtained. § 74-26. The petition, what to contain. § 74-27. Appraisers; appointment and duties. § 74-28. Confirmation of report; payment of damages; rights of petitioner. § 74-29. Registration of report. § 74-30. Obstructing mining drains. § 74-31. Disposition of waste. Article 4 - Adjustment of Conflicting Claims. § 74-32. Liability for damage for trespass. § 74-33. Persons entitled to bring suit. § 74-34. Application and order for survey. § 74-35. Free access to mine for survey. § 74-36. Costs of the survey. Article 5 - Interstate Mining Compact. § 74-37. Compact enacted into law. § 74-38. Commission to file copies of bylaws with Department of Environmental Quality. Article 6 - Mining Registration. §§ 74-39, 74-40: Repealed by Session Laws 1977, c. 712, s. 2. § 74-41. Repealed by Session Laws 1973, c. 1262, s. 33. §§ 74-42 through 74-45: Repealed by Session Laws 1977, c. 712, s. 2. Article 7 - The Mining Act of 1971. § 74-50. Permits – General. § 74-51. Permits – Application, granting, conditions. § 74-56. Inspection and approval of reclamation; bond release or forfeiture. § 74-57. Departmental modification of permit or reclamation plan. § 74-58. Suspension or revocation of permit. § 74-59. Bond forfeiture proceedings. § 74-61. Administrative and judicial review of decisions. § 74-62. Repealed by Session Laws 1987, c. 827, s. 83. § 74-64. Penalties for violations. § 74-65. Effect on local zoning regulations. § 74-66. Private relief against nuisance or hazard. § 74-68. Cooperation with other agencies; contracts and grants. §§ 74-69 through 74-74. Reserved for future codification purposes.  Article 8 - Control of Exploration for Uranium in North Carolina. § 74-75. Legislative findings; declaration of policy. § 74-78. Permits; application; granting; terms; duration; renewal. § 74-82. Suspension, revocation or modification of permit. § 74-85. Administrative and judicial review of decisions. § 74-87. Penalty for violations. § 74-88. Confidentiality of logs, surveys, and reports. § 74-89. Delay before mining permits issued.